HomeNews in PerspectiveCongo decides on presidential third term – Lessons for Sierra Leone? The people of Ivory Coast have today gone to the polls, to elect a new president or decide on keeping president Alassane Ouattara in office for another term, after bloody and disputed elections in 2010 that took power away from the incumbent – Gbagbo. 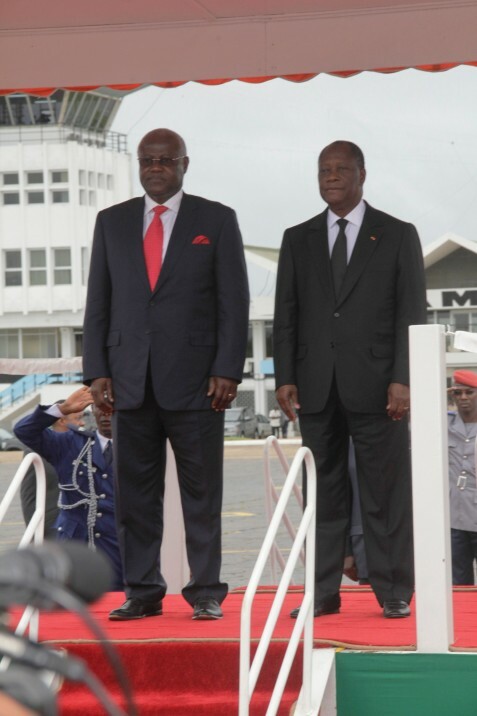 (Photo: Koroma of Sierra Leone – left, with Quattarra of Ivory Coast). And so too are the people of Tanzania today Sunday, 25th October 2015, embarking on a democratic journey to elect a new president and government. Whilst the main opposition party in Ivory Coast and their supporters have boycotted the elections to Quattara’s delight, in the Republic of Congo where the opposition leader has been placed under house arrest, the people are also out today – but voting on a presidential term limit referendum. 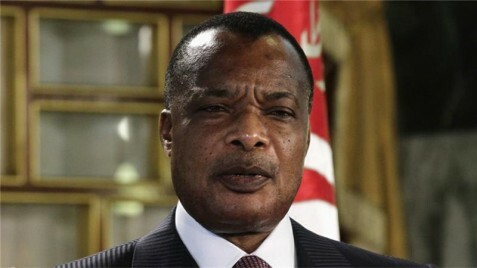 Although the Republic of Congo’s 71 year old president Denis Sassou N’Guesso has not yet expressed an interest in contesting elections that are due next year, today’s referendum result could usher in changes to the country’s constitution, that could allow the president a third term in office. Are there lessons for Sierra Leone? According to reports from Congo, turnout was very low and the opposition are protesting the arrest and detention of their leader, as well as boycotted today’s referendum. Although voting was fairly peaceful, analysts believe that the political climate in the Congo could change quite rapidly, once the results of the referendum are announced. Last Tuesday, violence erupted in some parts of the country, resulting in the death of four people after clashes between opposition demonstrators and security forces in Brazzaville and Pointe-Noire. President N’Guesso (Photo), who has already served two consecutive seven-year terms in office, was first elected president in 2002. And in 2009, he was elected again after polling nearly 79 percent of the votes. 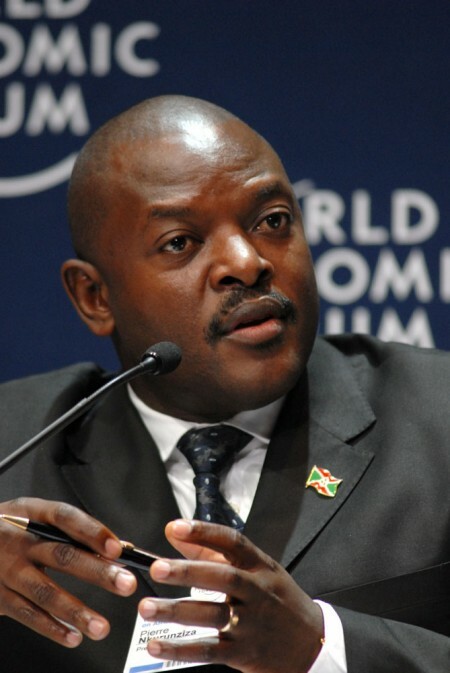 In Burundi, just two months ago, the incumbent president – Pierre Nkurunziza won the elections after the Constitutional Court ruled that he could contest elections for a third term, though the election was largely boycotted by the opposition parties. Nkurunziza’s (Photo) decision to seek a third term had plunged Burundi into its worst crisis since the civil war ended in 2005. Weeks of protests and violence early this year, had forced more than 175,000 people to take refuge in neighbouring countries. In the wake of July’s elections, opposition supporters took to the streets in protest at the third term decision of the president and the one-sided election contest. Speaking at the UN General Assembly last month, president Obama expressed his disdain for African leaders that are seeking third term in office by manipulating their country’s constitution and electoral process to hang on to power. He said: “History shows that regimes who fear their own people will eventually crumble, but strong institutions built on the consent of the governed endure long after any one individual is gone. “That’s why our strongest leaders – from George Washington to Nelson Mandela – have elevated the importance of building strong, democratic institutions over a thirst for perpetual power. “Leaders who amend constitutions to stay in office only acknowledge that they failed to build a successful country for their people – because none of us last forever. “It tells us that power is something they cling to for its own sake, rather than for the betterment of those they purport to serve. “I understand democracy is frustrating. Democracy in the United States is certainly imperfect. At times, it can even be dysfunctional. But democracy – the constant struggle to extend rights to more of our people, to give more people a voice – is what allowed us to become the most powerful nation in the world. 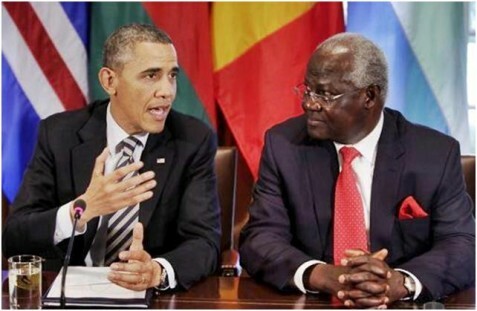 (Photo: President Obama and President Koroma of Sierra Leone). “It’s not simply a matter of principle; it’s not an abstraction. Democracy – inclusive democracy – makes countries stronger. “When opposition parties can seek power peacefully through the ballot, a country draws upon new ideas. When a free media can inform the public, corruption and abuse are exposed and can be rooted out. But it seems African leaders, desperately hungry to stay in power so as to continue to plunder their country’s resources with impunity, are taking no notice of president Obama’s advice. Skeptics in Sierra Leone believe that president Koroma too, is planning to orchestrate a national referendum next year, which could result in sweeping changes to the country’s constitution, especially the presidential term limit clause. 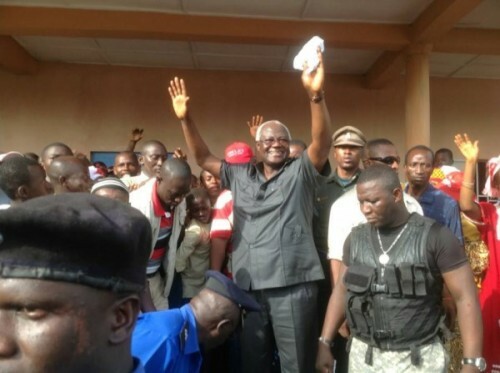 President Koroma is currently serving his second term in office, after winning the 2012 elections. But the constitution as it stands, will exclude Koroma from contesting again in 2018, although he has on several occasions said publicly that he is not interested in running for office for a third term. Not many people in Sierra Leone believe the president. Next year, the ruling APC party will be holding its convention, when it will elect a new party leader and presidential candidate for the 2018 elections. There is every reason to conclude that the contest for the APC party leadership would be fierce, and could split the party. And should this be the case, the majority of rank and file members may well demand a vote at next year’s convention, for president Koroma to stay on and contest the 2018 presidential election. 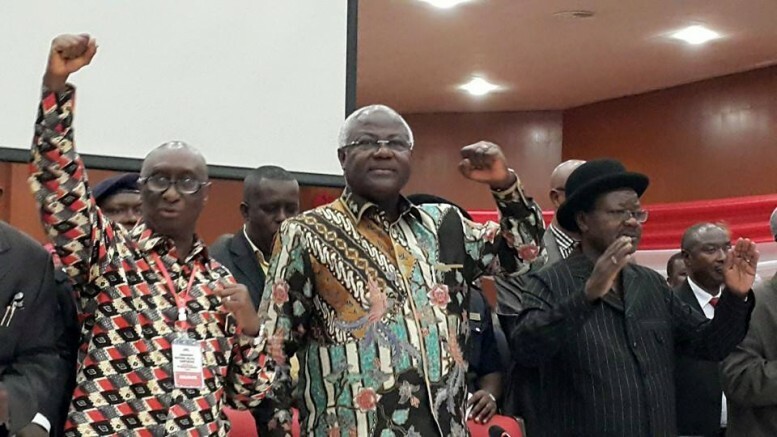 In the likelihood of the majority of Sierra Leoneans voting YES for a third term presidency at the national referendum also taking place next year, Will president Koroma swallow his own bait – hook, line and sinker? Will he accept an invitation from his party rank and file to contest a third term – risking the possibility of widespread political violence and chaos in the country, or will he bow out gracefully? And, will the voice of president Obama make any difference to president Koroma – a president once regarded by the American president as one of the most liberal leaders in Africa?